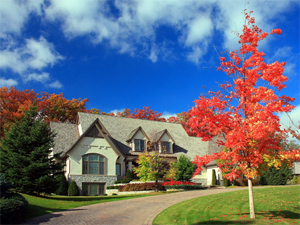 The name ‘Chanhassen’ is a Sioux word meaning “the tree with sweet sap” or sugar maple tree. With 12 lakes in the city limits and an 885- acre park system, Chanhassen is certainly a sweet place to call home. In fact, it was named one of the Top Ten Towns to Raise a Family by Family Circle Magazine. Family-owned Ray N. Welter Heating Company has been serving Chanhassen and the surrounding areas with pride for more than four generations. Our dedicated team of professionals is EPS-certified and ready with the solution for all your air conditioning and furnace repair Chanhassen needs. We specialize in the repair, service, and installation of home furnaces, central air conditioners, air purifiers and air-to-air exchangers. Whether you need a quick furnace repair or a new central air conditioner, the experts at Welter Heating are your local pros. When you call Welter Heating Company for your air conditioner and furnace repair in Chanhassen, you can be confident that you are speaking to a professional, fully trained and certified by the State of Minnesota. During the winter months, our team is on call 24-hours a day for emergency service. Keep cool during sizzling Minnesota summers and stay cozy all winter long with dependable heating and cooling services from Ray N. Welter Heating Company. Give us a call at 612-825-6867 or contact us online, and check out our home heating and air conditioning testimonials to see what your neighbors have to say about our services.